Two championship belts are on the line at UFC 231 in Toronto, when Max Holloway defends the featherweight title against Brian Ortega, and Valentina Shevchenko meets Joanna Jedrzejczyk for the vacant women's flyweight belt. Two championship belts are on the line at UFC 231 on Saturday in Toronto, when Max Holloway defends the featherweight title against Brian Ortega, and Valentina Shevchenko meets Joanna Jedrzejczyk for the vacant women's flyweight belt. Holloway is the short favorite over Ortega, while Shevchenko lays a big price against Jedrzejczyk, per betting odds posted in Las Vegas and offshore. 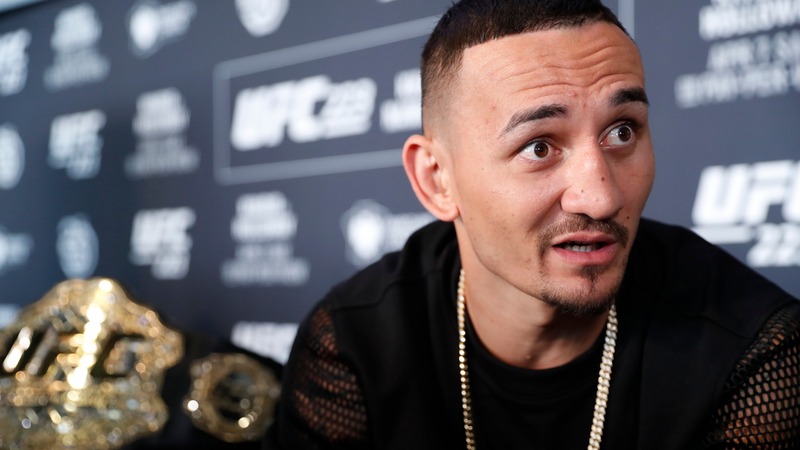 Holloway and Ortega battle for Holloway's belt in a fight originally scheduled for UFC 226. Holloway pulled out with concussion-like symptoms, and Ortega has waited for his chance at the title. Shevchenko and Jedrzejczyk were slated for UFC 230 but rescheduled for Saturday. The two are fighting for the title vacated by Nicco Montano. Top-10 light heavyweight Jimi Manuwa is also on the main card, taking on Thiago Santos. No. 3 women's strawweight Claudia Gadelha fights Nina Ansaroff in the prelims. The other top-10 matchup on the prelims is No. 9 Jessica Eye vs. No. 3 Katlyn Chookagian. ## Betting odds and matchups for UFC 231 main card [(Bovada)](https://www.bovada.lv/sports/ufc-mma) ## No. 14 Gunnar Nelson -135 vs. No. 13 Alex Oliveira +105 It's a clash of styles, as Oliveira's has won 63 percent of his fights by KO/TKO, while Nelson wins by submission 75 percent of the time. Nelson's last five wins have come via submission, although he lost his last time out by first-round KO to Santiago Ponzinibbio. Oliveira is 6-1-1 in his last eight fights, with three knockout wins and two via submission. __More:__ [BetChicago UFC coverage](https://www.betchicago.com/ufc-betting) ## Hakeem Dawodu -170 vs. Kyle Bochniak +140 Dawodu is 1-1 in the UFC, losing his debut by submission but winning his last fight via decision. In eight professional wins, Dawodu has six knockouts. Bochniak earned plenty of fans in his last fight. He took up-and-coming star Zabit Magomedsharipov the distance, losing a decision. He took some punishment while trying to land one big shot. It was a loss, but Bochniak caught the attention of many in defeat. ## No. 15 Thiago Santos -210 vs. No. 7 Jimi Manuwa +170 Another bout that was previously scheduled for another event, Manuwa vs. Santos features fighters trending in opposite directions. Santos has won two fights in a row; Manuwa has lost two in a row. Santos was last seen knocking out Eryk Anders. He's the last fighter to defeat Anthony Smith and has won six of his last seven fights. Five of those wins are via KO/TKO. Manuwa was on the way up following back-to-back wins over Ovince St. Preux and Corey Anderson, but he was knocked out by Volkan Oezdemir and lost a decision to Jan Blachowicz. Most of Manuwa's wins come by knockout (88 percent), but Santos has the advantage with 4.89 significant strikes per minute. __Free contests for cash and prizes:__ U[FC 231](https://betchicago.chalkline.com/games/ufc-231) | [All our games](https://betchicago.chalkline.com/games/) ## No. 1 Valentina Shevchenko -365 vs. No. 1 Joanna Jedrzejczyk +275 This will be the fourth time these two meet but the first time in mixed martial arts. Shevchenko is 3-0 against Jedrzejczyk in amateur muay thai and kickboxing. Joanna got back in the win column with a decision victory over Tecia Torres in July. It was her first win since May 2017 as she lost twice to Rose Namajunas in championship fights. Joanna is looking to win a belt in a third different weight class. Shevchenko has three wins in her last five fights win the only two losses coming to Amanda Nunes. She has wins over Holly Holm, Julianna Pena and Priscila Cachoeira in that time. She seems more likely to win by stoppage; 73 percent of her wins are via submission or KO/TO. Joanna has only finished her opponent in 33 percent of her wins. ## (C) Max Holloway -125 vs. No. 1 Brian Ortega -105 Holloway, the champion, has won 12 fights in a row since losing to Conor McGregor in 2013. His last three wins have come via third-round TKO, the last two against Jose Aldo. He's more of a striker than Ortega, landing 6.2 significant strikes per minute compared to Ortega's 3.65. But Ortega's last win was a first-round knockout over Frankie Edgar, which earned him the title shot. Ortega is 6-0-1 in the UFC with one no-contest. Find the full UFC 231 card [here](https://www.ufc.com/event/ufc-231#).